Summary: "Find the Elves and return them to the world of Men!" the shade of the Druid Allanon had ordered Wren. 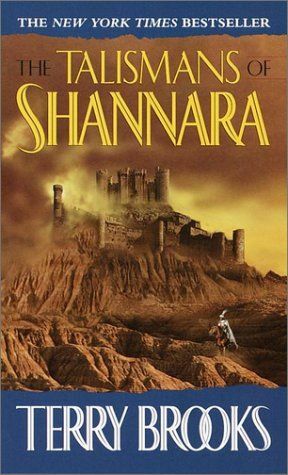 Summary: Although some of the goals to keep Shannara safe had been met, the work of Walker Boh, Wren, and Par was not yet done. For The Shadowmen still swarmed over the Four Lands, poisoning all with their dark magic. 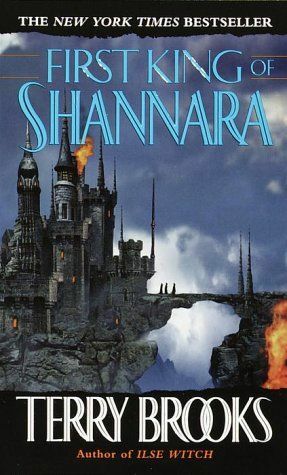 Each Shannaran had a special death waiting for him- at the hands of The Shadowmen-unless Par could find a way to free them all with the Sword of Shannara. My Comments: This was a really good series. Summary: Dark forces are on the move from the Northlands, and Bremen, an outcast Druid, learns of the huge Troll armies on the march and the Skull Bearers who act as their spies. 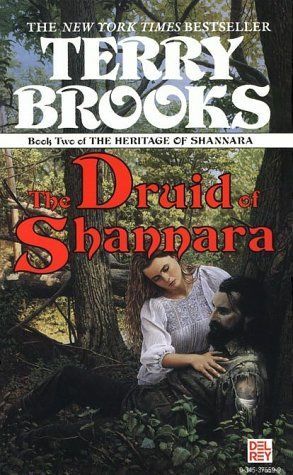 To save the Druids, Bremen must convince the people of the Four Lands that their only hope lies in uniting -- and in using the magic they fear above all else. My Comments: Not quite as good as the others. It never felt like the characters were truly in danger. 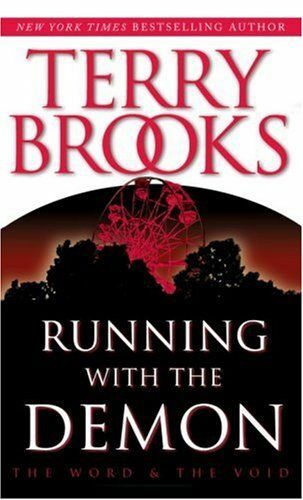 Summary: Terry Brooks's "Running with the Demon" is billed as "A Novel of Good and Evil," but he could've called it "A Novel of Here and Now." The fantasy master behind the Shannara series switches his focus from neo-Tolkien jungles to the woebegone steel town of Hopewell, Illinois. Though Illinois teenager Nest Freemark (where does he get these names?) looks like your average kid, she spends her free time in the woods asking her 6-inch pal Pick for advice in dodging the Demon and his creepy Feeders, spirits who gobble the souls of humans. Nest is also being tailed by John Ross, a shining Knight of the Word who wants to keep her from the Feeders' jaws. Brooks's plot has more strands than a plate of pasta, yet his mind is logical to a fault--he used to be a lawyer. There's something for everyone: gory monster attacks, a dread family secret, magical mind-game duels, even a (rather flat) teen-romance subplot. The setting has real grit and the countdown to the Independence Day bombing peps up the tale. Brooks sometimes prosaically explains things a better literary stylist would dramatize, and his minatory visions of environmental apocalypse are more fun than the obvious, nagging, don't-be-a-litterbug message they exist to convey. 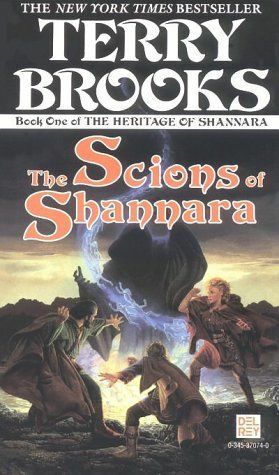 Brooks will never be as deep as Tolkien, and many readers will find him less awesome as their adolescence recedes. Still, he's the genuine article, and with this book, he raises the stakes he's playing for. My Comments: Breaking out of the fantasy genre? Was actually a very well written book. Unfortunately, I didn't care for the non-fantasy setting/back-drop. I don't think I'll be reading the rest of this series. 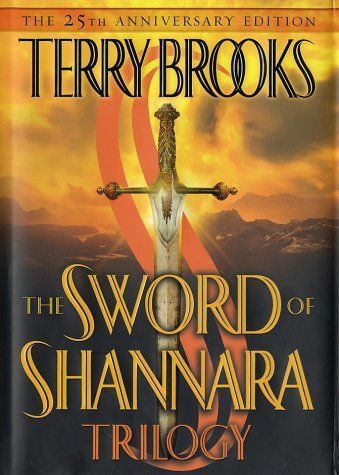 Summary: Twenty-five years ago, "New York Times" bestselling author Terry Brooks wrote a novel that brought to life a dazzling world that would become one of the most popular fantasy epics of all time, beloved by millions of fans around the world. 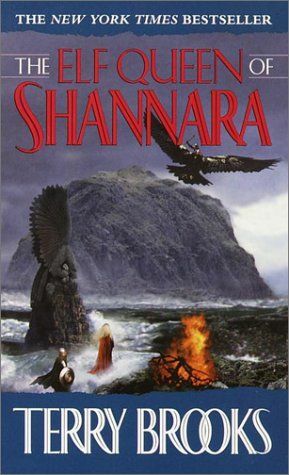 Ten more Shannara books would follow. Now, for the first time in one elegant collector’s edition hardcover, and featuring an introduction by the author, here are the first three novels of that classic series: "The Sword of Shannara", "The Elfstones of Shannara", and "The Wishsong of Shannara"—the beginning of a phenomenal epic of good and evil. "An ancient Evil is stirring to new life, sending its ghastly Mord Wraiths to destroy Mankind. To win through the vile growth that protects this dark force, the Druid Allanon needs Brin Ohmsford—for she alone holds the magic power of the wishsong. Reluctantly Brin joins the Druid on his dangerous journey. But a prophecy foretells doom, as Evil nurses its plans to trap the unsuspecting Brin into a fate far more horrible than death.